Messages disappeared from iPhone XS / XS Max / XR / X / 8/ 7 / 6s / 6 / 5s / 5c / 4S / 4, where are my text messages? Your messages are still in your iPhone, you can recover disappeared iPhone messages for free or just in several clicks. For iOS users, we can use iMessage to send photos / text messages / videos / contacts to another iOS user for free if your iOS system is upper iOS 5. So many user turn to iMessage which is more useful. And more important data saved in iMessage. But still, many guys stick to iPhone text message which is charged but we can send messages between two phones even with two different OS system. iMessage or message, both two are important for us. When iMessage or messages lost from iPhone, turn to your backup if you have, you can get back disa[[eared messages from backup for free. But when you can't find out missed messages from backup or you no have backup, we still have another chance to get back disappeared messages with the help of Eelphone iPhone Data Recovery. Messages in iPhone is disappearing? Be calm! 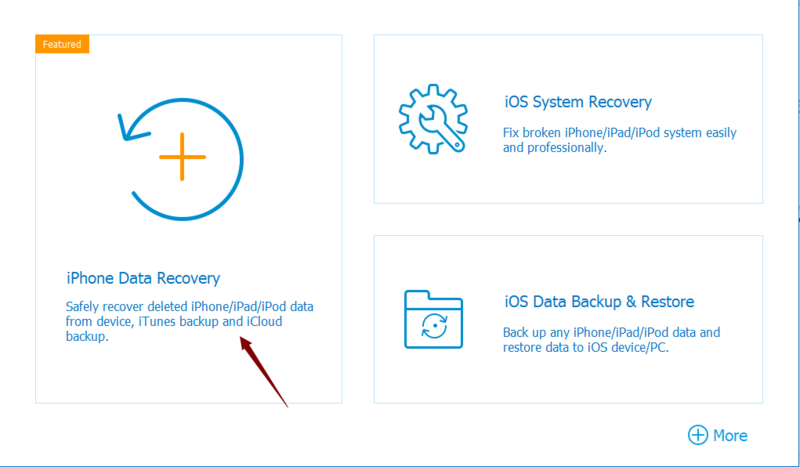 You can recover lost text messages or iMessage from backup of iTunes or iCloud. 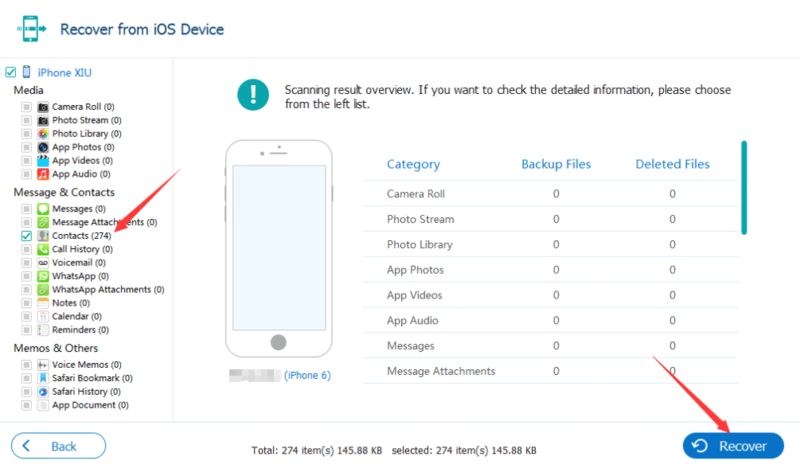 Note: Of course, we should be sure that we have backed up all disappeared messages to iTunes or iCloud, or you have sync your iPhone to iTunes or iCloud. Just turn to iCloud in your iPhone: Settings> Your name>iCloud>Manage Storage, select which backup file you want to restore. But we can't select the data type to restore, we should restore all data in the backup files. Load into your iTunes in your computer, and connect your iPhone to computer at the same time, after detected your iPhone, from your iPhone, you can see backups from summary. Tap on Restore Backup, select the backup file you want to restore. You can select the restore data type from the left side. Photos/ audios/info for your choice. It's the way to get backup disappeared messages on iPhone for free, don't forget backup your iPhone regularly, it's a good tool for iOS users. Feel anxious when we no have backup? All text messages disappeared iPhone, how can we get back all lost messages on iPhone? With Eelphone iPhone Data Recovery, which can detect your iPhone deeply, all scanned out messages can be restored. And the recovering process is so easy, within clicks, we can get backup disappeared iPhone messages. Step 1: Free download Eelphone iPhone Data Recovery in your Window or Mac, install it with the installation guide. From the home page, click on iPhone Data Recovery. Step 2: From the left side, you can get three ways to get back disappeared messages, tap on the first way, but if you can't restore messages from backup, you can use the tool to help you get back messages from backup. 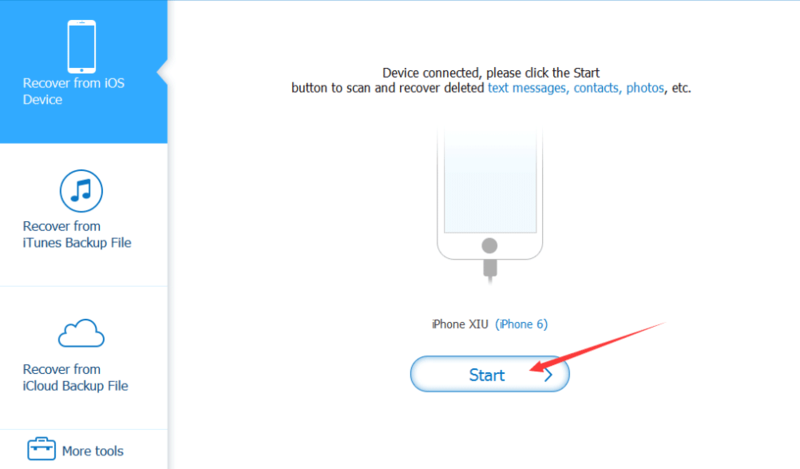 Then connect your iPhone to computer, click on Start to let the tool to detect your iPhone. 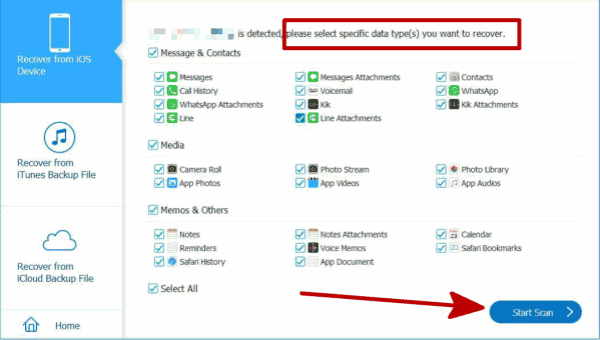 Step 3: The tool will give the choose of recovery data type, from the data type list, what you need now is Messages, but if you want get back photos/videos/voice memos from iMessage, we still tap on Messages Attachment to get more data of iMessage. And click on Scan to start scan the data type you have selected in your iPhone. Step 4: Just wait a moment during the process of scanning, from the scan result, reclick on the data type you want to restore form iPhone. Click on Recover, all disappeared messages will come back. We can get back lost messages on iPhone from backup or without backup, and we recommend that backup iPhone to computer regularly, it's a good habit for all of us.